HQ11. 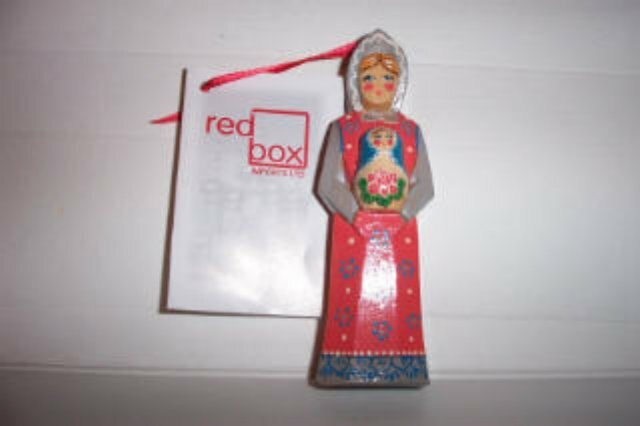 Red Box Ornament with Matryoshka 5"
This lovely carved ornament is a Russian Girl holding a Matryoshka. It is very nicely painted in Russia with lots of fine brushwork and detail. In 2005 we sent these as Chirstmas gifts to our nesting dolls friends in Europe.